The Michigan League for Public Policy has been working on our annual report for 2018, and in looking back on our highlights from last year, a clear pattern has emerged. In addition to a lot of defensive battles, with varying degrees of success, our biggest policy “wins” for the people of Michigan each year are almost always found in the state budget. In the fiscal year 2019 state budget, these bipartisan victories included: increasing funding for child care and the Early On program; continuing the “heat and eat” policy to provide needed nutrition to families with low incomes, seniors and people with disabilities; increasing the annual clothing allowance for children living in deep poverty; and funding to address water and infrastructure issues with PFAS and lead. Part of the reason is that budget policy is a large focus of our work. But part of it is that the budget has been the biggest opportunity for compromise in recent years. And with shared political power between the legislative and executive branches, that stands to be even truer in 2019, with a process that begins on Tuesday, March 5, when Gov. Gretchen Whitmer presents her budget for fiscal year 2020. For the 2020 Michigan budget, the League has released our own state budget priorities to offer guidance to lawmakers and residents on how to: meet the basic needs of Michigan children, older adults and people with disabilities; make sure all Michiganders have access to needed health care; help working parents access affordable, high-quality child care and early education services; and strengthen public education in Michigan from cradle to career. The League also has two overarching priorities that we hope lawmakers will take into consideration throughout the budget process — address the racial, ethnic and social justice impact of state budget decisions and create fair tax structures that provide adequate revenue to fund these priorities. 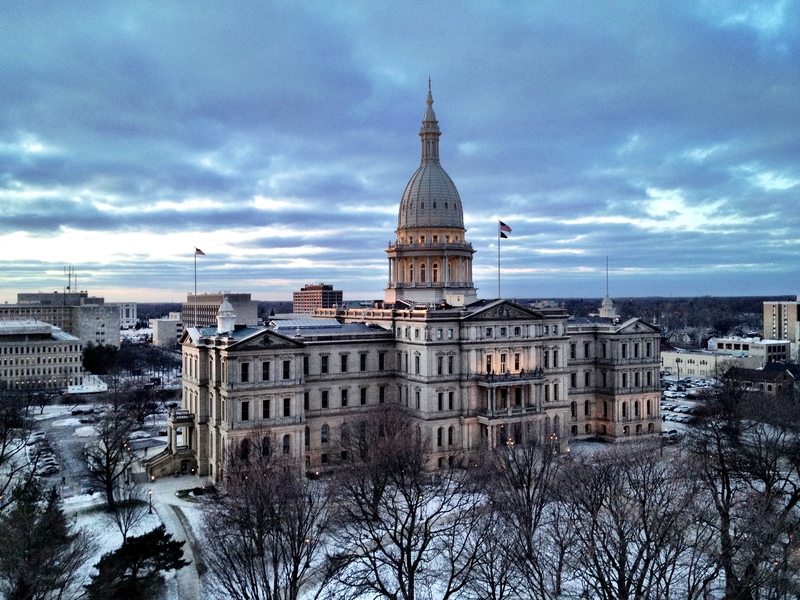 On behalf of Michigan residents, the League urges policymakers to focus on these priorities. And with the governor’s State of the State address, the House Republican majority’s action plan, and priorities that have been outlined by all of the legislative caucuses, I am excited to see a lot of common ground. This not only means that we’re succeeding as a nonpartisan organization, but that elected officials are hearing about the same needs from their constituents as we are. It also means that a lot of these issues will likely be addressed in the 2020 budget. The plan also recognized the need for “investments” in many of these areas, meaning they will be a part of the House Republicans’ budget priorities. My optimism on these topics was reinforced by a friendly and productive meeting I recently had with House Speaker Lee Chatfield (R-Levering). Whitmer’s first State of the State outlined her vision for Michigan and unveiled some new proposals, but her budget presentation is where she’ll reveal detailed plans and how to pay for them. We are all anxious to see her plan to “fix the damn roads,” as well as improve our schools, provide more higher education opportunities for young people and more skills training for adults. As a former lawmaker myself, I know the devil is always in the details, or in the case of the state budget, in the line items. The debate will likely get more heated over how things will be paid for than what the overarching needs of our state are. And the League will be there if it does, dousing the fiery rhetoric with a steady stream of data, analysis and historical context. The downside of having your big issues entwined with the budget is that these fights have to happen year after year, especially with a new governor and a brand new crop of legislators. But being part of the annual process means we’re seasoned, fire-forged and battle-ready. We look forward to another state budget season, and ultimately, some more state budget wins for all Michiganders.